Today is the day!!!! I’m leaving for the FEEL THE POWER Conference. It was one of the BEST conferences that I have ever attended last year, so going back this year was a NO Brainer. 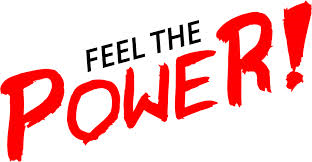 As I get ready to head to Florida to the Emerald Coast, I want to leave you with this thought: Are you Feeling the POWER in your life? Do you feel that you are empowered to complete your goal?? Do you feel like you have power within?? If not make a decision today that you will FEEL The POWER in your life TODAY!!! I will resume the blog on Tuesday-February 10, 2015. I am taking a few days off, enjoy your weekend.